Place half the spinach on serving plate; top with half each of the next 4 ingredients. Repeat layers. 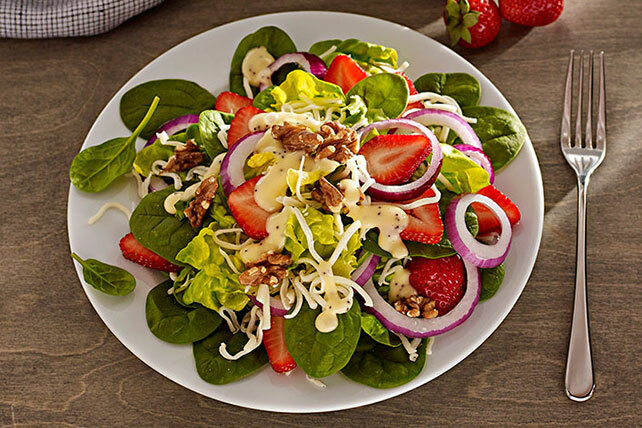 Prepare using KRAFT Raspberry Vinaigrette with Poppyseed Dressing made with Extra Virgin Olive Oil. To serve in individual portions, layer ingredients as directed on 8 serving plates.